Friday morning at his 7:10 AM tee time Earl finally got to check off playing golf in Africa off his bucket list, I slept in until about 8, and went to the breakfast buffet at the hotel. After hearing that there were more protests in Tahir Square and after all of the pyramid excitement, we decided a couple of resort days were worth it. So, I caught up on a couple of blog posts, we booked an elephant ride for Bangkok and did some more research for the trip to Izmir. And I downloaded a few more books and then stayed outside on the patios, (yes there were 2) and read on my nook. For dinner on Friday, we shared a hamburger and apple pie, since I don’t think either of us wanted a kebab or more hummus. Saturday was about the same as Friday, until we went to the airport again and I was again reminded that I hate Cairo traffic! And I felt super conspicuous in a shiny black Mercedes rather than a taxi. But that was the deal the hotel had for airport transportation. 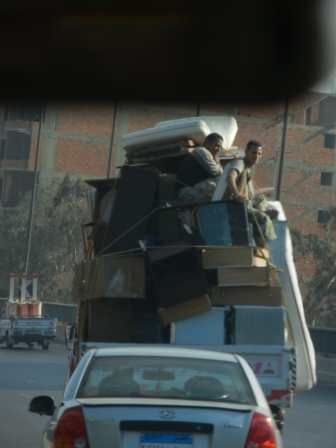 We saw guys who looked to be moving a whole houseful of furniture with a single truck at about 65 mph. And of course, going 4-5 wide on a 3-lane road. After finding free wi-fi in the Cairo airport, we checked some email and waited for the flight back to Istanbul. I also downloaded a guide to the Aegean Coast which became essential for the next few days. 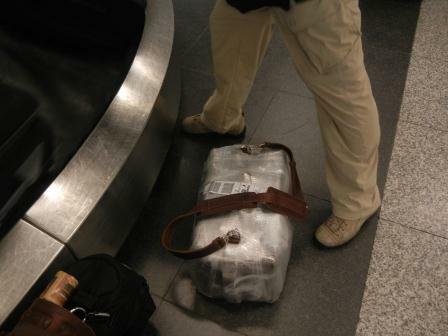 We arrived to Istanbul along with our checked luggage which included Earl’s swaddled Saddleback duffle. And waited for the shuttle to the Courtyard Marriott Istanbul (since none of the cab drivers knew where it was even though it is only 5km away). Once we go there, they couldn’t find a confirmed reservation, so when I went to book, it wouldn’t let me since it was “past” the date. So after the hotel desk clerk apologized to me for my losing this reservation he booked us a room and we headed straight to bed for a 5:15 AM wake-up call so that we could fly to Izmir. 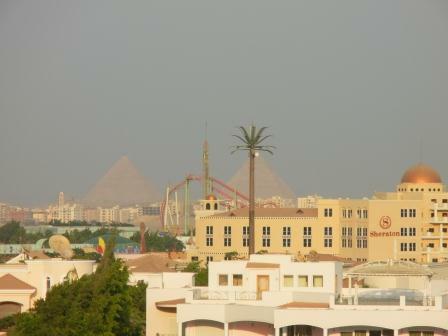 « Sept 29 – Colossus, Pyramids and Sphinxes, Oh My!